We have more Clamps than anyone else in the industry (as far as we know). Any time we needed a special clamp size, we designed one. Our clamps are unique as well. We bend them at a certain angle to ensure that the clamp has a preload which facilitates a strong clamping action. We also use a composite material for the block. This is stronger than wood. We have never had one break in over 50 thousand clamps made. All of our L-bolts are made of 5/16" diameter steel except for the smaller yarn meter clamp which is only 1/4". Our clamps have been based on a simple but effective design from day #1. 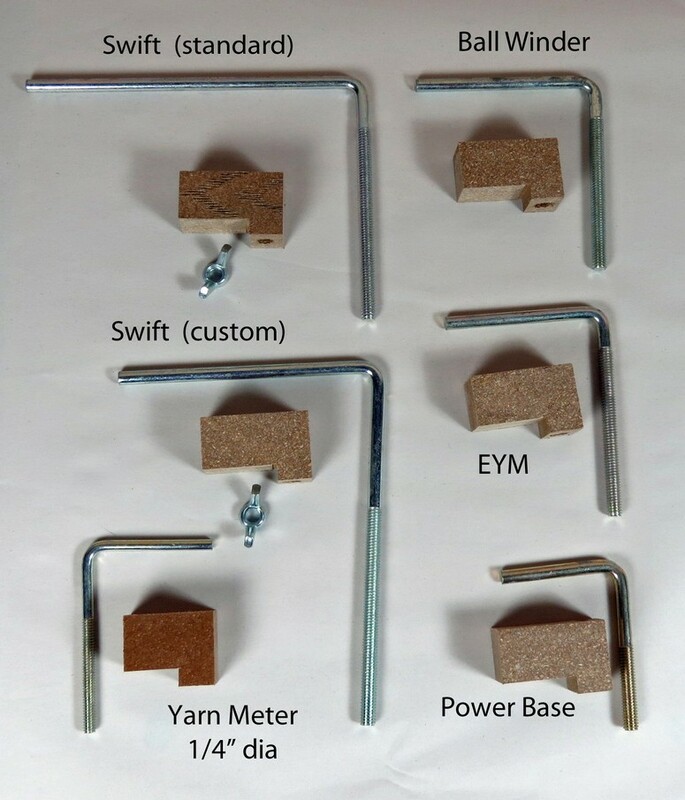 We have a custom Swift L-Bolt that can be ordered for our swifts or ball winders. It is great for tables that are really thick. In the picture below, the threaded section is always on the vertical portion of the L-bolt. Call us if you need to know how thick a table a specific clamp will fit on. All clamps include a 5/16" or 1/4" wing nut. with the Yarn Pet line.